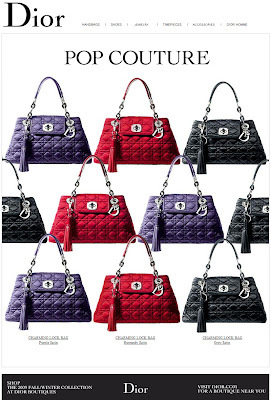 Pop couture that are the new bags from Dior, they ary funny and they look gorgeaous. They are in three colours purple, burgundy and grey satin. For every look a different bag.